Recommended Dose Adults take 1-2 capsules per day. Do not drive or use machinery for 5 hours after taking Melatonin. Use once a day, at or before bedtime. ReLeaf Naturals Headache Relief is an all-natural product that contains Tanacetum Parthenium (Feverfew), a medicinal plant which traditionally used in Herbal Medicine to help relieve and prevents headaches. Recommended Dose Adults take 2 Capsules per day with or after food. 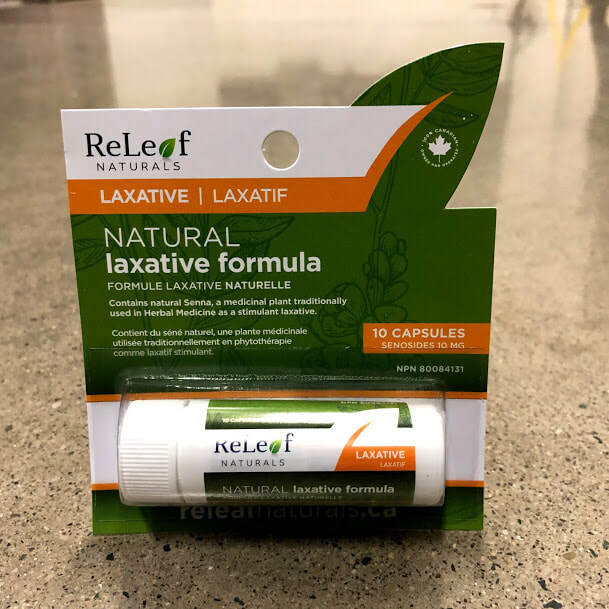 ReLeaf Naturals Laxative Formula is an all-natural product that contains Senna, a medicinal plant traditionally used in Herbal Medicine as a stimulant laxative. Recommended Dose: Adults and adolescents 11 and over: 1-2 capsule(s) 1 time(s) per day. Take a single dose at bedtime. Allow at least 6-12 hours for laxative effect to occur. ReLeaf Naturals Nausea Formula is an all-natural product that contains natural Zingiber Officinale (Ginger), a medicinal ingredient that helps prevent nausea and vomiting associated with motion sickness, and/or seasickness. Pain Therapy is an all-natural, topical analgesic, which alleviates pain associated with arthritis, sore muscles, back ache, sprains, bruises, and joint pain. 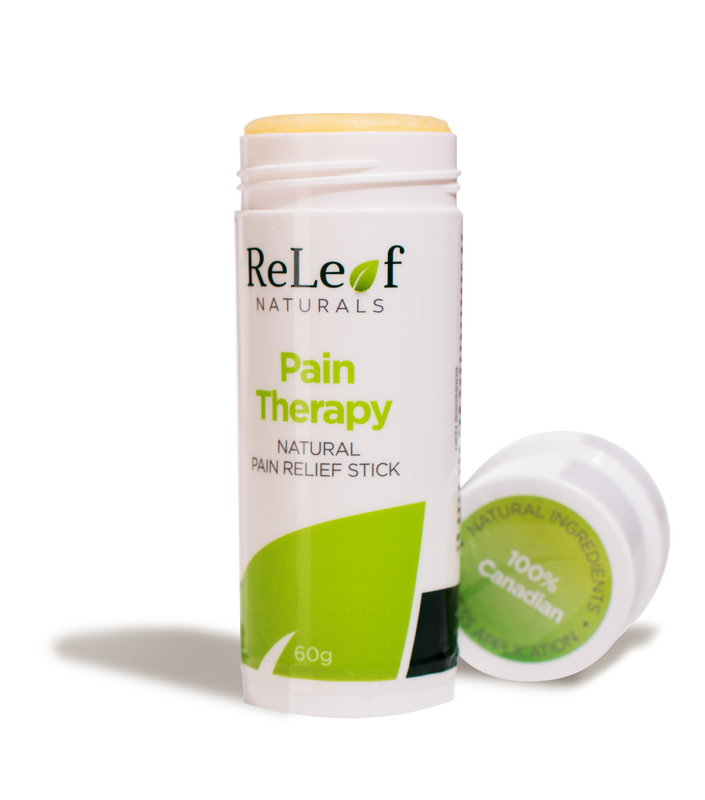 Formulated with a base of essential oils, butters and natural anti-inflammatory ingredients, Pain Therapy is a healthy alternative to drug store topical pain relief creams. Pain Therapy is free of toxic chemical preservatives and parabens and is a registered Natural Health Product with Health Canada (NPN 80055109).